Finding flexible housing can be difficult. No matter if you’re a military member or an avid traveler who’s always on the go, choosing the right temporary housing isn’t the easiest decision to make. If you’re looking for corporate housing in Houston, look no further than Corporate Retreats International. We offer fully furnished apartments that are designed to make you feel right at home. We offer short-term and extended stay options along with flexible rent terms. Our month-to-month rentals offer true flexibility and convenience, ensuring you aren’t stuck in a home any longer than you need to be. This saves you time, money, and, most importantly, frustration! At Corporate Retreats International, we are committed to finding the perfect lease option that fits your housing needs. Learn more about our fully furnished corporate housing in Houston. Our Houston corporate housing is more than just a place to eat, sleep, and relax. We’ve designed and furnished each apartment so that it feels and looks like home. No matter if you have an extended stay or only need housing for a few weeks, we guarantee that you will fall in love with the warm environment and the amenities that are provided. All of our housing also offers full-sized and fully equipped kitchens, well-stocked bathrooms, comfortable living rooms, and a balcony to enjoy the beauty that Houston has to offer. What’s nice about our Houston corporate housing is that it's flexible and convenient. While extended stay hotels are always an option, hotels are often small, dingy, and overly expensive. With our term housing, you can have a private and beautiful place to call home. No matter if you’re looking for housing options in Houston for just you or you’re searching for a cozy place that your family can call home, our corporate apartments are sure to meet your needs. Our fully furnished apartments are available in a variety of spacious floor plans, including 1-, 2-, and 3-bedroom options. With our variety of housing options, you can depend on Corporate Retreats International to find you the ideal housing in Houston. 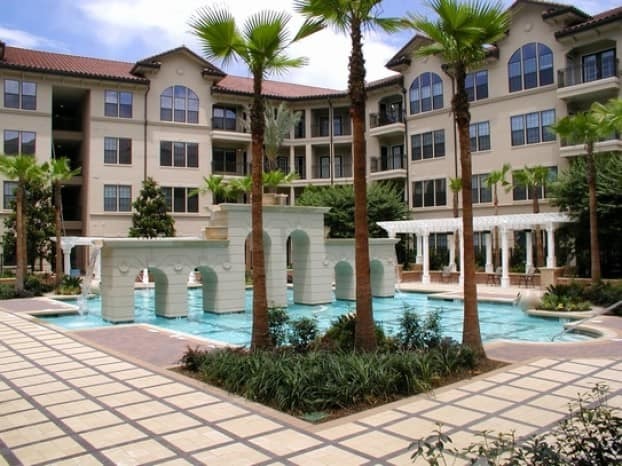 Camden Vanderbilt is located in the Houston West University area and is a truly beautiful place to call home. Our Camden Vanderbilt fully furnished apartments offer large living and dining areas, along with granite countertops and stainless steel appliances. Crown molding, 9-foot ceilings, and marble-tiled entries add a luxurious and modern touch. The Camden Vanderbilt community is home to a lake that offers beautiful waterfalls and fountains. There's also a lap pool, two swimming pools, and a walking path for those who love the outdoors. The Amalfi offers luxury temporary apartment living at its finest. These glamorous apartments offer granite countertops and custom Italian wood cabinets. The community is beautifully landscaped and offers a barbeque area, fitness center, business center, concierge services, and a resort style swimming pool. Another perk of calling The Amalfi home is that the apartments are conveniently situated between the Houston Medical Center and the Museum District. High 288 and the Metro Light-Rail are close by, which makes traveling around Houston a breeze. Archstone Toscano is a new property that's located west of the Texas Medical Center in Houston. These mid-rise apartments offer our standard amenities, along with stainless steel appliances, hardwood floors, and granite countertops in select units. At Archstone Toscano, you can break a sweat at the expansive fitness center and relax by one of the three pools. There's also an attached covered parking garage with same-level parking. We're proud to announce our newest location, Latitude Med Center. This 35-story high-rise is located directly across from Texas Children's Hospital and offers easy access to Rice Village, Rice University, the Medical Center, and Hermann Park. These fully furnished temporary housing apartments offer stainless steel appliances, island kitchens, hardwood floors, and expansive bathrooms with a modern frameless glass shower. You'll also be able to enjoy breathtaking views of Houston. Latitude Med Center apartments also offer valet parking and 24-hour concierge, ensuring your every need is met. There's also an infinity edge pool, summer kitchen, and a 24-hour fitness center for residents to enjoy. Hanover Rice Village is a very convenient place to live, offering shops and restaurants on the first level of the property. These apartments are also located in walking distance from Rice Village, which is home to dozen of shops, salons, and restaurants. Apartments at Hanover Rice Village offer stainless steel appliances, stone and hardwood floors, large closets, soaking tubs, and many other modern amenities. The community is pet-friendly and feels like a resort in Houston TX. There's a pool with grills, cabanas, and even an outdoor kitchen. There's also a large lawn for those who love spending time soaking up the sun and fresh air. One Hermann Place offers superior construction and finishes. 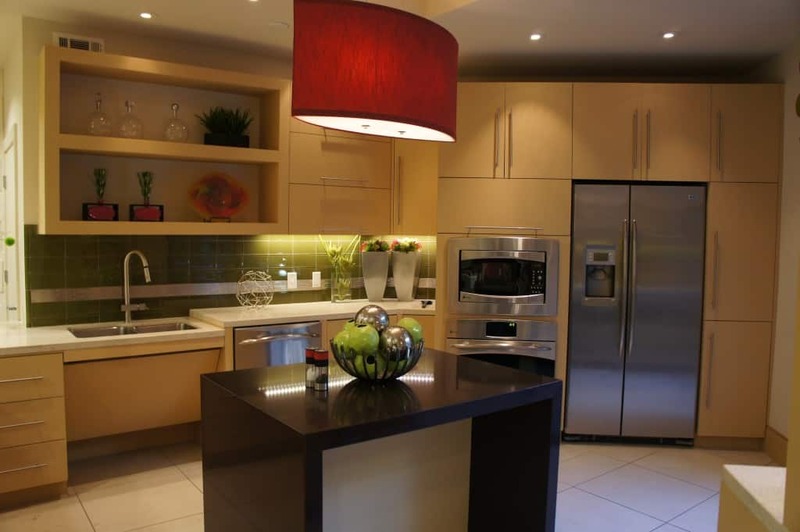 Each apartment offers glass backsplashes, quartz countertops, and stainless steel appliances. You can also enjoy the convenience of a huge master bathroom, which offers a frameless glass shower and a separate tub area. 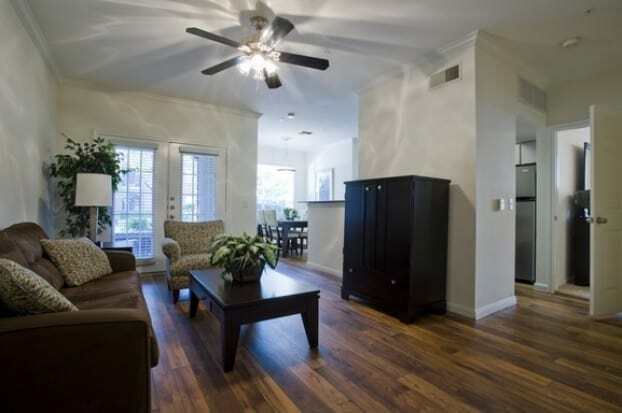 Located directly across the street from Hermann Park, these luxury apartments are sure to impress. Spend time in the huge fitness center or club room or sip your favorite cup in the coffee bar. There's also a resort pool, fire pits, and a summer kitchen. The fully furnished apartments at Alexan 5151 will exceed your expectations. These apartments offer exclusive amenities, high-end finishes, and custom touches that you won't find anywhere else. At Alexan 5151, you can work, dine, shop, live, and play all in the same place. This is one of the most widely sought-after locations in Houston TX, and we know you'll be proud to call it home. There’s nothing better than being able to enjoy the sights and sounds of the city. If you want to be in the thick of it all, Downtown Houston offers fast-paced living with plenty to do and see. Living in and around the city means that there’s endless entertainment, nightlife, and local food to enjoy. If you're looking to enjoy the city's best dining and shopping, Houston Galleria is the ideal place to live. The Houston Galleria community is home to the Galleria Mall, which offers luxury goods and designer retailers. You'll also be able to enjoy plenty of family fun. The Texas Medical Center is more than a place where health and medical care flourish. The area offers an abundance of entertainment, including shopping centers, restaurants, parks, and sports stadiums. What’s nice about living near the Texas Medical Center is that there’s plenty of transportation that you can take to get around Houston. The Museum District offers 19 different museums, including the Houston Center for Photography, Rothko Chapel, and the Holocaust Museum Houston. The Museum District is also located close to many colorful neighborhoods that embrace the local culture, along with St. Thomas University. Greenway Plaza is located in southwestern Houston and is only five miles west of the Downtown area. Here you can enjoy luxury living and high-end retail. In the Greenway Plaza community, you can enjoy fine dining, including an underground food court that offers more than 16 eateries. You'll also have access to banking centers, fitness facilities, and much more. We’re proud to offer a carefully chosen inventory of modern, luxurious, and conveniently located fully furnished apartments throughout Houston TX. No matter if you’re looking for a short term rental or an extended stay, you can count on us to find you an ideal place to call home.